Elite Bor-Shavit, M.D. is a Retina Specialist & Vitreoretinal Surgeon at Eye Surgeons of Worcester who specializes in the treatment of Macular Degeneration, Diabetic Retinopathy, Retinal Detachment, Macular Holes and Macular Pucker. Dr. Bor-Shavit earned her Medical Degree from Semmelweis University Faculty of Medicine in Budapest, Hungary followed by a Residency in Ophthalmology at Rabin Medical Center-Beilinson Hospital, Petah Tikvah, Israel. She then completed a fellowship in Vitreoretinal Surgery at The University of Ottawa Eye Institute at Ottawa General Hospital in Ottawa, Canada. Dr. Bor-Shavit has over 10 years of multiple clinical study appointments as a co-investigator for 13 clinical trials in the areas of retinal disease as well as treatment of glaucoma, publication of more than 35 papers, and presentations at internationally respected eye care meetings including the World Glaucoma Congress and the Association for Research in Vision and Ophthalmology (ARVO). 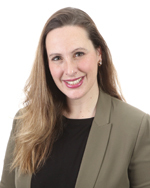 Further, Dr. Bor-Shavit’s expertise is recognized in the eye care community by her appointment as a Publication Peer Reviewer for the journal Ophthalmic Surgery, Lasers and Imaging-Retina and the journal Disability and Rehabilitation. Elite Bor Shavit, M.D. Retina Specialist & Vitreoretinal Surgeon for Macular Degeneration, Diabetic Retinopathy, Retinal Detachment, Macular Holes & Macular Pucker at Eye Surgeons of Worcester, a D’Ambrosio Eye Care Medical Practice.